Contributors: Eduard Constantin, Stefan Constantinescu, Ulf Eriksson&Gerhard Blum, Catalin Gheorghe, Felice Hapetzeder, Karl Holmqvist, Cezar Lazarescu, Johan Lundh, Nita Mocanu, Vlad Morariu, Ylva Ogland, Raluca Voinea and h.arta in interview with: Gerd Aurell, Stefan Constantinescu, Ulf Eriksson & Gerhard Blum, Ludwig Franzen, Emma- Lina Ericson & Moa Krestesen, Felice Hapetzeder, Anders Jansson, Maja- Lena Johansson, Magnus Liistamo, Anna-Lena Lundmark, Dorinel Marc, Paula von Seth. On the street, a little girl answering to the jokes of her mother's friend and explaining that her skin is so dark because she has just returned from the seaside, but she is not at all a gipsy. The look in the customs officer's eyes when he asks for your passport. Words accidentally heard on the street: "You stupid Jew…". The pride that you feel in a sunny morning when someone tells you how beautiful your town is. The need to explain that things are never black or white, that they are always more than that. That nothing is absolutely “true”. The portraits displayed in the classrooms, especially in the Romanian and History departments, portraits that represent only men, long lines of serious, solemn men that the history and culture of the nation are built on. “When more than two women are gathering the devil sticks in his tail, too.” The way you see your country in a different light when you are travelling abroad. Our country with high mountains and with the sea and with broad plains that the clouds are projecting their shadows on, with old and nostalgic cities and with people that are speaking plainly. Our country with grey cities and with people that, when they are condemning others, when they say that the ones who are different should disappear, they are not even conscious that they are saying something wrong. Our history full of heroes that protected the Christianity from the pagan invaders, our history of Christian and orthodox nation that gives us the right to judge the ones that are not Christians. The shame to be Romanians or to speak Romanian of some people, when they are traveling abroad. An artist asking us insistently if it will be very difficult to us to go back home, after we have lived for a month in a place so western, so beautiful and civilized. The anger that you feel when you see the ignorance and the injustice around you. The need to say clearly that some things are not “natural” but they have to be discussed and they have to become subject to negotiation. 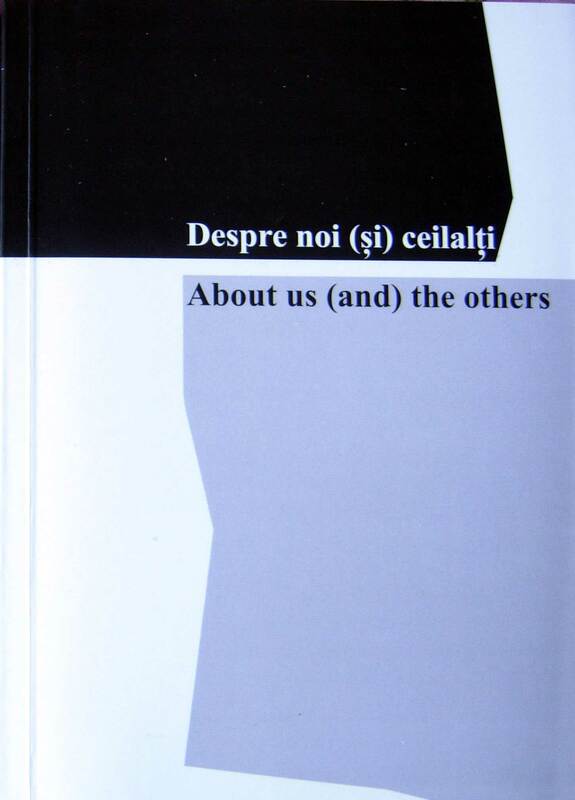 The book "About us (and) the others" contains all the contradictory things that we see everyday and which are significant for the ways we construct our identity: examples of tolerance or of intolerance, examples for the ways you can feel at home in your country or, on the contrary, examples for the moments you feel excluded or willing to exclude yourself, examples for the ways we look at the others and for the ways we are looked at.